READY to "STEP UP" Your "Game In Business"? EAGER To PUT "More Revenue" On a Fast Track? ​ READY - To Roll Up Your Sleeves And "GET IT DONE"? MOTIVATED To Set Yourself Up To WIN With a "FAST START In 2019"? 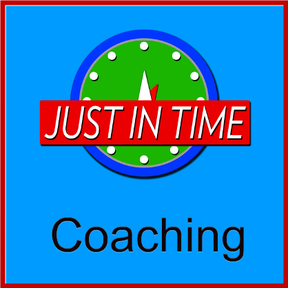 If you answered, YES, then "JUST IN TIME" Coaching is a Great Fit!! - 90 minute "KICK OFF" Session to define and prioritize "Your Objectives." Unlimited Email Access to me with 2 Day Turnaround Response. We Can Use ZOOM or PHONE for Your Coaching Sessions.